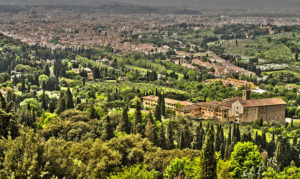 If your holiday in Florence has just started, it will suerly be the San lorenzo area to welcome you. A stone`s thow away form the Dome, the area around the San Lorenzo Church offers a wide variety of things to see and to do in a perfect mix of cultural and free time: from a peacefull stroll among the stands of the San Lorenzo market to a visit to the Medici chapels. The best way to appreciate the atmosphere of the area is to take a walk along the streets of the famous San Lorenzo market. 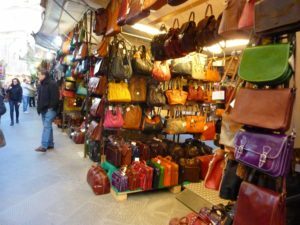 If you are looking for a a present or a souvenir of your stay in Florence, this is the right place: you`ll be able to find small gadgets but also dresses and first of all leather accessorizes that made the Florentine craftsmanship famous all over the world. If you are up to try and cook an Italian meal to enjoy in your rental apartment in Florence , go grocery shopping to the Central Market, the most renowned and crowded grocery market in Florence. In this two stores building you will Ifind meat, fish, fresh vegetables and fruits in aboundance, magnificently displayed on the stands: a wonderful spectacle to see and savour. Some culture? You won`t find yourself in lack of suggestions here. 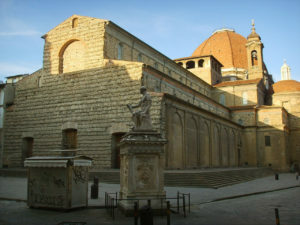 You can start with taking a look to the Canonici closter and to the Church of San Lorenzo , the heart of the area, go on with a visit to the Medici Riccardi Palace, especially if one of the numerous exhibitions is underway and end up with the beautiful Medici Chapels , with the grand sculptures funeral by Michelangelo. 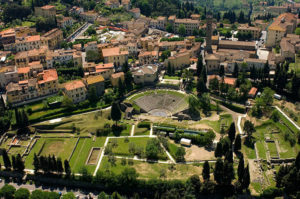 If you want to visit the district of San Lorenzo with a private guide, check out our Guided Visits in Florence!